Rely on Dennis Dillon Nissan’s handy finance payment calculator to estimate your monthly auto loan payments on your next Nissan Armada, Nissan Rogue, or even your next used vehicle. How do you use our payment calculator? Simply enter in your vehicle’s estimated price, the estimated interest rate, your loan term, and your down payment. If you’re trading in your old vehicle to get a better price on your next car purchase, enter in your trade in estimate. Then, voila! Your estimated car payments are calculated. If you have questions about how to calculate your estimated monthly payments, simply contact us today. Rely on Dennis Dillon Nissan for Auto Loan and Lease Help! 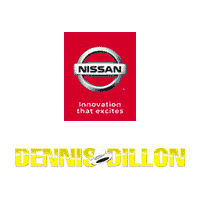 At Dennis Dillon Nissan, we love serving the Boise community. That’s why we’re here to help you calculate your car payments online; and we’re here to help you improve your credit score. If you have any questions about the oftentimes complicated process of leasing or car financing, simply reach out to us. We’re here to help. Can I Get Car Financing with a Bad Credit Score?